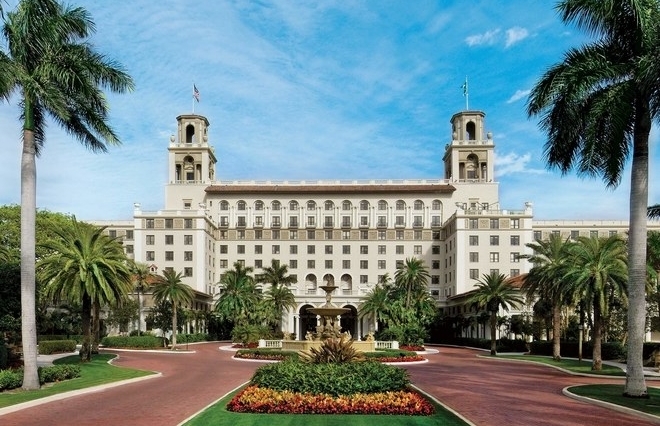 This year I had the fantastic experience of attending the Global Wellness Summit, which has held at The Breakers in Palm Beach, Florida. The professionals that attend this amazing event are at the forefront of the global wellness movement across a wide array of industries. The speeches, presentations and forums were of the highest calibre, with future thinking, ground breaking technology and what is happening across the planet being discussed and discovered. We had glamorous evening events to attend, round table lunches and the opportunity to meet the best in the spa and wellness industry. Inspiring on all levels! Healthy Building Design: Why It’s a Smart Decision for Businesses and Investors - Delos presented research on guest satisfaction, loyalty and behaviours related to staying in hotels that offered a wellness environment via the stay well rooms. The results were very impressive and should certainly have hotels considering this approach. Millennials are not Wellness Newbies: Presented by Good & Well - This was a fantastic presentation on the trends and behaviours of millennials in regards to wellness. Influencers have a major impact on a business having millennials as followers and are more likely to attract attendees to their retreats. The 2018 GWS will be held at Technogym HQ in Italy so a little sojourn to Europe may be on the cards. Posted on October 11, 2017 by Sonja Sorich and tagged global wellness summit wellness trends wellness traveller learning benchmarks reports speeches global thought leaders.